The 2014 recipient of Precision Farming Dealer’s second annual Most Valuable Dealership is South Dakota Wheat Growers (SDWG), based in Aberdeen, S.D. In total, 55 U.S. and Canadian dealerships including equipment dealerships with precision departments, precision only operations and precision retailers, were nominated by their farm customers, precision equipment suppliers and their own employees. Again this year, an independent panel of judges was asked to evaluate precision ag sales growth and how dealerships are generating revenue from hardware, software and precision service sales. The judges also analyzed less quantifiable elements that define the best precision farming dealership, such as employee training, performance standards, innovation, long-term business plan and community involvement. While precision farming is often associated with tangible technology products that farm customers connect to a tractor or attach to a planter, data management and agronomy are increasingly valuable commodities. Progressive dealers are incorporating more than standard sales and service of precision technology to position them for the future as profitable businesses. In the case of Wheat Growers, the diverse co-operative ag retailer set itself apart from the other nominees with an aggressive, yet calculated approach to precision farming growth during the last 2 decades. The challenging job of choosing this year’s Precision Farming Dealer’s Most Valuable Dealership went to 3 highly experienced individuals that comprised the independent judging panel. This year’s group included Dr. Harold F. Reetz, Jr., owner of Reetz Agronomics LLC, Terry Brase, professor of Agricultural Geospatial Technologies at Kirkwood Community College and Thomas Krill, instructor and consultant at Jerkins Creative Consulting. Owner, Reetz Agronomics LLC, Monticello, Ill.
Reetz has nearly 40 years of experience as an agronomic consultant in the areas of high-yield cropping systems, precision farming technology and on-farm research. 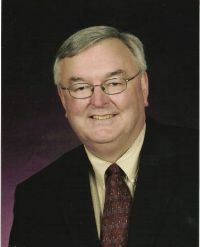 From 1995-2009, he was the lead organizer for the InfoAg Conference series and served as co-coordinator of the International Conference on Precision Agriculture in 2008 and 2010. He currently serves as executive director of the International Society of Precision Agriculture. Brase has been teaching precision farming since 1993. He facilitates the precision ag program at Kirkwood that provides graduates with skills for a career in precision ag at equipment dealerships or agronomic retailers. Brase has served as principal investigator of several National Science Foundation Advanced Technological Education grant awards including AgrowKnowledge, Development of the National Center for Agriscience and Technology Education. Thomas Krill, Instructor and Consultant, Jerkins Creative Consulting, Benton, Ill.
For more than 20 years, Krill has worked in the precision agriculture industry as a collegiate instructor, sales manager for farm equipment manufacturers and an agronomic consultant. During the last 5 years, he’s served as precision farming services manager with Agri-Chem Inc., an independent strategist with Precision Strategy LLC, and his current role as a consultant and instructor with Jerkins Creative Consulting, where he advises agricultural clients on business opportunities, with an emphasis on precision farming. Though perhaps not a precision farming dealer in the traditional sense, Wheat Growers generates about one third of its revenue from precision hardware sales of 5 different brands. Nearly 70% of profits come from precision service, specifically through the co-op’s Management Zone-Based [MZB] crop input platform. Since 2011, SDWG has nearly doubled precision service revenue from $3.9 million to $7.4 million in 2013. Overall, the co-op has increased precision ag sales more than two-fold during the last 3 years, and has a defined vision to increase its precision footprint in the coming years through an evolving combination of hardware, service and agronomic support. As the judges noted this year, selling complete precision solutions, rather than just products, positions the co-op as a successful organization well into the future. It’s never too early to nominate candidates for next year’s Precision Farming Dealer Most Valuable Dealership program. We’re inviting you to participate by submitting entries for precision farming dealers. Please nominate all the dealers you feel are worthy of consideration by our judges. There is no limit to the number of nominations you can submit, and if you prefer, we will not reveal to the dealers who nominated them for this honor. Open to all precision farming dealers in the U.S. and Canada, Precision Farming Dealer will again be recognizing the organization that demonstrates the best in sales, service and support of precision farming technology. We hope that you’ll choose to participate in this program and help showcase the finest precision farming dealers in our industry. Visit www.precisionfarmingdealer.com for profiles of past winners. For more information or questions, contact Jack Zemlicka at 262-782-4480 ext. 441 or e-mail jzemlicka@lesspub.com.